Below are tips on dealing with urgent dental situations. You may want to display this list on your refrigerator or store it near your emergency phone numbers for easy reference. If your child has bitten his or her lip or tongue severely enough to cause bleeding, clean the bite gently with water and use a cold compress (a cold, wet towel or washcloth pressed firmly against the area) to reduce or avoid swelling. Give us a call to help determine how serious the bite is. If your little one has something caught between the teeth, use dental floss to remove it gently. Never use a metal, plastic, or sharp tool to remove a stuck object. 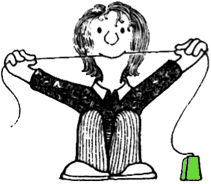 If you are unable to remove the item with dental floss, give us a call. If your child has chipped or broken a piece off a tooth, rinse the mouth with warm water, then use a cold compress to reduce swelling. Try to locate and save the tooth fragment that broke off. Call us immediately. If your child’s tooth has been knocked out of his or her mouth, find the tooth and rinse it with water (no soap), and take care to touch only the crown of the tooth (the part you can see when it’s in place). Place the tooth in a clean container with milk. Call us immediately and/or head to the hospital. If you act quickly, it’s possible to save the tooth. If your child complains of a toothache, rinse the mouth with warm water and inspect the teeth to make sure nothing is caught between them. If pain continues, use a cold compress to ease the pain. If you know or suspect your youngster has sustained a broken jaw, use a cold compress to reduce swelling. Call our emergency number and/or head to the hospital immediately. In many cases, a broken jaw is the result of a blow to the head. Severe blows to the head can be dangerous and even life-threatening. You can help your child avoid dental emergencies. Child-proof your house to avoid falls. Don’t let your son or daughter chew on ice, popcorn kernels, or other hard foods. Always use car seats for young children and require seatbelts for older children. 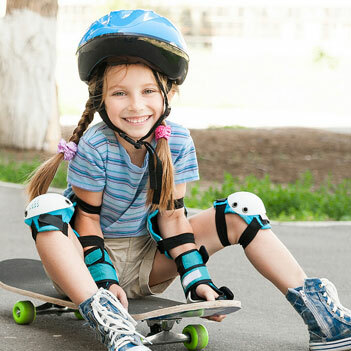 And if your child plays contact sports, have him or her wear a mouthguard. Ask us about creating a custom-fitted mouthguard for your youngster. Finally, prevent toothaches with regular brushing, flossing, and visits to our office.